We’re well into the third day of the Round of 16, and it’s time for Germany and Algeria to meet at Estadio Beira-Rio in the town of Porto Algere. The winner of this match will go onto the quarter finals to face the winner of the earlier France-Nigeria game. The Germans might have superstars like Müller and Klose on their side, but history of the two teams playing each other is firmly on Algeria’s side. We’ll be watching closely to see which team will make it through, but until then we’ll concentrate on the World Cup of Cars: Germany vs. Algeria. Germany starts off with the German-made and world-renowned Volkswagen Golf. This vehicle is historically Volkswagen’s best-selling model, as well as being the world’s second best-seller after the Toyota Corolla. 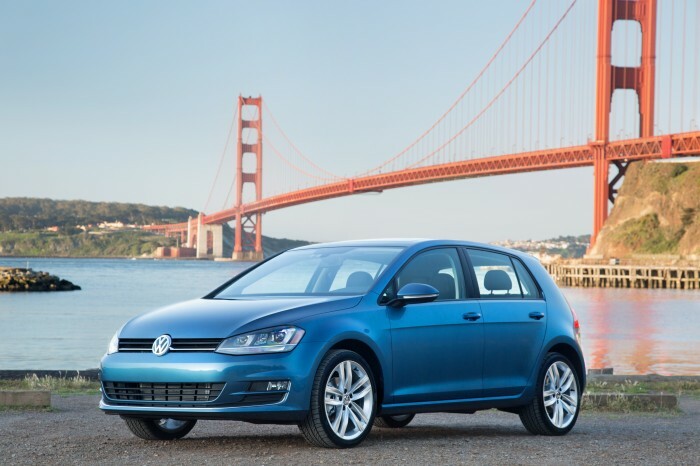 This hatchback is classically handsome, and has been a firm favorite in VW’s lineup since its introduction in 1974. Now in its seventh generation, the Golf is available with a gasoline or diesel engine, as well as the e-Golf electric vehicle. Speed-lovers will appreciate the Golf GTI performance car, which comes with a 210-hp turbocharged engine, plus subtle styling that makes it stand out from the crowd. You might say that the GTI is the Miroslav Klose of Volkswagen’s lineup. Representing Algeria, the Hyundai Accent is a much newer model than the VW Golf, but it’s no less loved. First produced in 1994, the Accent is in its 20th year and very much a favorite of Algerian drivers. The Hyundai Accent is a subcompact sedan or hatchback that packs plenty of punch into a relatively small frame. Standard features include a driver-side blind spot mirror and one-touch, triple-blink turn signals. Upper trim levels receive upgrades like projector-type LED headlights, premium interior trim, and Bluetooth connectivity. The Accent gets up to 38 mpg on the highway, which is around the average in its class, but nonetheless impressive. Our pick to move onto the quarter finals? The Hyundai Accent. While we love the VW Golf, it’s one of those cars—like the game of soccer itself—that is a sensation overseas, but enjoys much less popularity in the US. Watch the Germany vs. Algeria game today at 4pm Eastern on ESPN, and see if our prediction runs true!